The region of Najd in Central Arabia has always been regarded as inaccessible, ringed by a belt of sand deserts, the Nafud, Dahana and the Rub’ al-Khali and often with its population at odds with the rulers of the outer settled lands. It is however the centre of a purely Arabian culture based on a partnership between bedouin camel husbandry and settled palm cultivation. Possibly as a result of overpopulation the bedouin have periodically spread over into the lands of the Fertile Crescent. 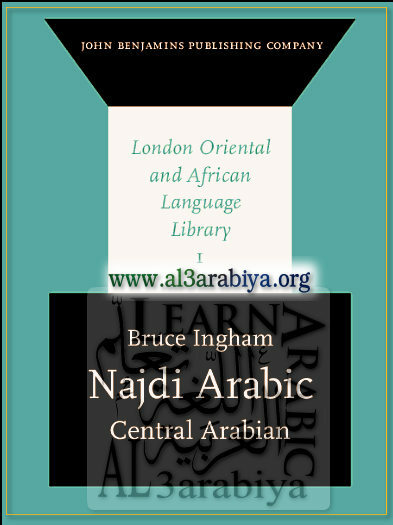 Because of their isolated position the Najdi dialect is of a very interesting and archaic type showing very little non-Arabic influence, which has led to the reputation of the Arabian bedouin as preservers of the original Classical form and considerable prestige being attached to the Najdi type. Consequently the region is a powerhouse of dialect influence so that Najdi based dialects are spoken all along the Gulf Coast and throughout most of the Syrian Desert.